Steven Gerrard's future at Liverpool was the subject of uncertainty since he lifted the European Cup in May. BBC Sport tracks the day-by-day developments as Liverpool's hopes of a new deal for Gerrard collapsed - only for the player to change his hand in the most dramatic fashion and commit his future to the club. Gerrard is back in Liverpool colours, parading the European Cup with Jamie Carragher before the pre-season friendly at Wrexham. He played the first 45 minutes at the Racecourse Ground as the Reds ran out 4-3 winners ahead of their Champions League match against other Welsh opponents TNS. Significantly, the chanting of his name by fans and rapturous applause throughout his time on the pitch suggested that he will suffer no backlash from the Kop. "I didn't doubt that," he said afterwards. "I've got a fantastic relationship with the fans. I know they have been through a lot as well, which I'm not proud of. "They were close to losing their best player, so I can understand people getting frustrated. "I feel as if I've made the right decision and as I said, I'm not proud of the week I've been through. It's been difficult and very confusing. "And I wouldn't wish being in my shoes on any other person. But it's all behind me and I'd like to forget about it." The Steven Gerrard saga, that has dragged its sorry heels down a long and winding road, finally comes to an end. Gerrard - and his Reds team-mate Jamie Carragher - both sign new four-year deals. The future of Gerrard has been the subject of intense speculation. It seemed at the start of the week as though Gerrard would leave the club he joined as an eight-year-old following unsuccessful transfer negotiations. Gerrard then confirmed that he would be leaving - with Chelsea making an offer for the midfielder - only to change his mind. Liverpool captain Steven Gerrard is going to sign his new contract on Friday after an incredible week at Anfield. Having told the club he was leaving then having a dramatic change of heart 24 hours later, Reds' fans will be anxious until the moment their hero puts pen to paper on his deal. It is reportedly worth £100,000-a-week for the next four years - about £50,000-a-week less than the offer Real Madrid were said to be preparing. Gerrard also admits he offered to give up the captaincy after the week's events. "It would have broken my heart to have lost the captaincy but I thought it was right to make the offer," he said. 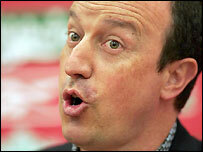 Manager Rafa Benitez turned him down and admitted his skipper's decision to stay was a "boost for everyone at the club". Liverpool chief executive Rick Parry stuns football by announcing that Steven Gerrard will be staying at the club after all. The announcement comes just one day after Gerrard rejected the new £100,000-a-week contract and said that he would be leaving the club. 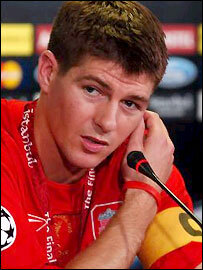 Parry, looking drawn and tired, reveals that several late night phone calls had taken place to persuade Gerrard to stay. "We have had some emotional moments together," said Parry. "I said to Steve 'Think of the fans in Istanbul - how can you leave that?'" The Reds chief executive said he had apologised to Gerrard if there had been any misunderstanding over the initial transfer negotiations. It seems that when talks had opened Gerrard had expected a firm offer. Instead, his advisors were asked what the player wanted - a method that Gerrard at the time found unsatisfactory. Gerrard is expected to sign a new contract in the next few days. 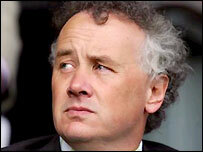 Tuesday starts with Parry revealing that his club will turn down a £32m bid they have received from Chelsea for Gerrard. But the signs do not look good and rumours intensify that Gerrard has played his last game for Liverpool. Hours later it emerges that Gerrard has told the club he joined as a boy, that he wants to leave. "Sadly, Steven has told us this afternoon that he will not accept our offer of an improved and extended contract because he wants to leave Liverpool," said a Reds statement. 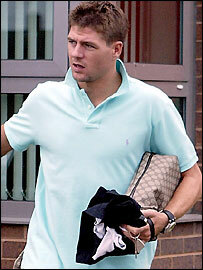 Gerrard himself later issues a statement, admitting: "This has been the hardest decision I have ever had to make. "I fully intended to sign a new contract after the Champions League final, but the events of the past five to six weeks have changed all that." Not entirely surprisingly, Real Madrid have re-confirmed their interest, while Chelsea are clearly firmly back in the picture. Something has clearly gone badly wrong between Liverpool and their captain. After a weekend of speculation that talks had broken down, Gerrard's agent Struan Marshall finally admits this to be the case and suggests they are "unlikely to be re-opened". Parry, who says he is mystified at the agent's comments, holds a meeting with Gerrard and chairman David Moores at which an offer of £100,000-a-week - a club record - was tabled. "We are completely surprised by the comments," said Parry. "When we met on Wednesday, things were fine." Meanwhile, manager Rafael Benitez attends a news conference to unveil new signing Bolo Zenden. During this he insists he wants Gerrard to stay forever, perhaps becoming manager one day. Benitez stresses Liverpool have already started to satisfy Gerrard's desire for trophies and have strengthened well over the summer. Friday - three days after contract talks finally opened - and the first signs that all is not well. Spanish newspaper As runs a story claiming Gerrard told Benitez an offer from Real Madrid was "extremely tempting". As has strong links with Real and added that Gerrard has refused to commit to Liverpool and would be offered wages of £8m a year to move to Spain. But the whisper from his camp is that the player never had this conversation. Wednesday and Struan Marshall - Gerrard's agent - has returned from holiday and he meets with Parry to sort out the new deal that all Liverpool fans want to see. Liverpool are optimistic of a positive outcome and the indecision and uncertainty of the previous summer - when Gerrard appeared likely to join Chelsea for £31m - seems a long time ago. Gerrard - and the rest of his team-mates - return for pre-season training 33 days after their Champions League glory in Istanbul. After the previous summer's lingering uncertainty - would Gerrard move to Chelsea or wouldn't he? - the midfielder insists he wants his future sorted out as quickly as possible. Liverpool discover their defence of their Champions League crown will start with a tie against Welsh Premier League champions TNS. Gerrard makes it clear that Liverpool will treat them with full respect and is glad their opponents are not from a far-flung corner of Europe. There is no hint that Gerrard - under contract until 2007 - is having second thoughts about signing a new deal. Liverpool manager Rafael Benitez makes it clear that Gerrard is central to his plans. "We are preparing a special weightlifting plan for Gerrard's shoulders because we want him to lift a lot of trophies for us in the next few years," said the Spaniard. "I am not in favour of selling him. "We're building a great team around him as we want him to be the skipper who wins the most titles in our history." Benitez was talking to a Spanish newspaper following speculation linking Gerrard with a move to Real Madrid. Despite the positive vibes since the Champions League final, Gerrard continues to be linked with Madrid and Chelsea. Liverpool chief executive Rick Parry indicates that talks will soon open on a new contract for Gerrard. 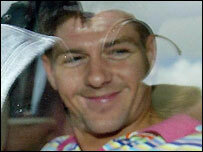 "The priority is to keep Steven and build a winning team around him," Parry told BBC Radio Five Live. "As long as he wants to stay, we want to keep him." Parry is extremely keen to ensure that the talismanic midfielder remains at the club and seems confident he will do so. The Reds chief suggests there is "no higher priority for the club" than persuading Gerrard to sign a new deal. In turn, Gerrard hints he is ready to talk. "The ball is in Liverpool's court now," said Gerrard. "We haven't spoken about a new contract yet and I don't know how long those talks will go on for." With Gerrard a Champions League winner after his team's memorable victory on penalties over AC Milan, the 25-year-old appears set to stay at Anfield. "How can I think of leaving Liverpool after a night like this?" said Gerrard afterwards. "I am really happy with the club. I will be having talks with the chairman and the manager shortly, but it is looking good." Gerrard scored Liverpool's first goal to spark his team's sensational fightback after they trailed 3-0 at the break. The midfielder had spoken extensively of his desire to win trophies and seemed the happiest man on earth as he lifted the European Cup.